How important is persistence and grit in education? Which rookie teachers working in really tough neighbourhoods, will still be teaching by the end of the school year and of those, who will be the most effective at improving learning outcomes for their students? Which salespeople are likely to perform best and, who's going to earn the most money? It seems that 'grit', as Duckworth defines it, can predict a host of beneficial life outcomes for practically anyone, but recent research seems to debunk grit as an all-encompassing solution for success. Given Duckworth's admission that grit might not provide such a clear forecast of future success, we need to be careful not to get too excited about its influence on education outcomes. But we should also be careful not to throw the grit-paragon out with the bath water. Duckworth herself has suggested we should be careful about believing the hype relating to grit. So let's look at exactly what grit, or as we call it, persistence, is. What exactly is persistence and grit? "The fact of continuing in an opinion or course of action in spite of difficulty or opposition"
"Passion and perseverance for very long-term goals." Duckworth expanded on this definition in her TED talk, explaining that "Grit is having stamina. Grit is sticking with your future, day in, day out, not just for the week, not just for the month, but for years, and working really hard to make that future a reality. Grit is living life like it's a marathon, not a sprint." Why is persistence or grit important for good education and life outcomes? Given the two definitions outlined, it's easy to see why persistence or grit seems to offer such a clear view of future outcomes for those individuals in possession of this quality. Those with grit, keep going until they achieve their goals. Those whose persistence is lacking, give up and quit. When we consider the common advice to set goals, it becomes clear that setting goals of any kind is not enough, it takes persistence and grit to see your goals realised. 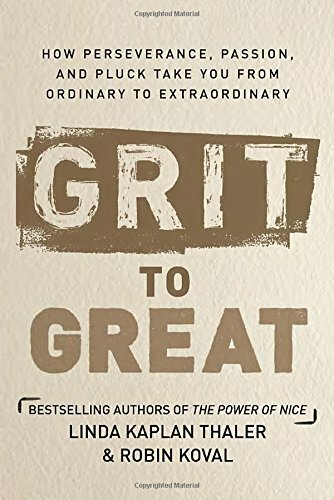 It's clear that we can all benefit from more grit. But is it possible to learn to be grittier? Can persistence or grit be taught? Unfortunately, the science around this question is not yet clear, and Duckworth and others continue to investigate the conditions and teaching approaches that lead to the grittiest individuals. 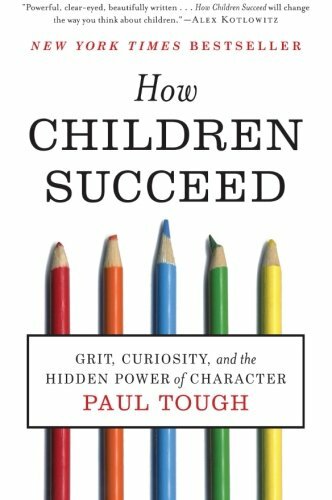 Marcus Crede, lead author of the study 'Much Ado about Grit: A Meta-Analytic Synthesis of the Grit Literature' which critiques the grit concept, suggests that grit is actually a trait closely aligned with one of psychology's big-5 personality traits known as conscientiousness. Conscientiousness includes capabilities such as organization, self-control, thoughtfulness and goal-directed behaviour as part of it's make up, and Crede claims that as a trait (and not a skill) conscientiousness can change, but is not something that can be specifically taught. Interestingly though, self-control has been shown by psychologist such as Walter Mischel to be a very learnable (and therefore teachable) skill, so Crede's theory perhaps is also less than air tight. Duckworth herself points to a few areas that seem to create the conditions for a higher levels of persistence and grit. The impact of fixed and growth mindsets, concepts outlined by Stanford University Professor Dr. Carol Dweck and her team, defines one area that seems likely to provide at least some level of improvement in student persistence and grit. Equally, there are grit specific benefits that spring from the well-worn theme of 'finding your passion'. 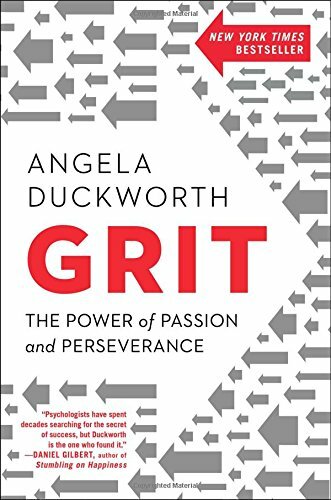 Duckworth explains that while perseverance is a key component of grit, "nobody works doggedly on something they don't find intrinsically interesting." Importantly, it seems that persistence doesn't simply stem from mastery of a single concept or skill, but rather it requires effort across a number of areas to create real benefit. For example, if a student discovers they have an unwavering passion for playing the piano, they may set themselves the ambitious goal of becoming a world-class concert pianist. In order to achieve this goal, they would certainly need to be persistent, but persistence requires support and success in other areas. Skills such as perfect or deliberate practice would be crucial to success, as would repetition. Strong relationships, particularly with tutors, mentors and teachers would also be critical. Maintaining an ongoing desire to achieve the goal would be necessary to maintain a gritty approach and, a combination of a growth mindset and acceptance of failure would be important in building and maintaining the self-confidence necessary to achieve success. Of course self-control would also be critical in making the right decisions in the here-and-now in order to lead to success in the distant future. The question then is possibly not one of, can we teach persistence or grit, but rather, can we teach the broad array of non-cognitive skills that seem to contribute to successful outcomes in life? The answer there seems to be a much more confident, yes. 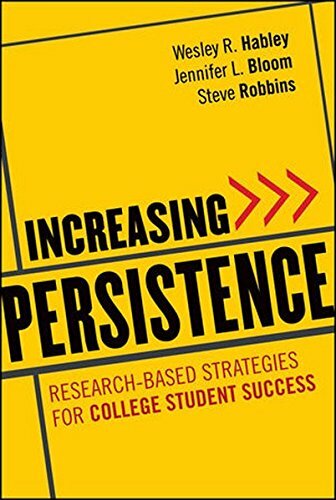 We are clear that supporting students to increase their persistence and grit will be a key contributor to success in both education and life in general, and we will be keeping a close eye on the research over the next few years to see if any specific approaches to teaching persistence or grit are uncovered. In the meantime, Passion Arena's programme is structured to support the improvement of a range of non-cognitive habits and skills which we believe do lead to at least some improvement in persistence or grit levels in students. Throughout our programme, we'll introduce concepts and specific strategies to build such skills as finding your passion, self-control, perfect practice, repetition, goal setting and others, which have been shown to support student success in a wide range of academic and life outcomes. To get an idea of how we introduce our non-cognitive skills and, in particular persistence or grit to students, click the button below to watch an example episode on grit. Want to find out more about persistence or grit? If you'd like to dive further into understanding persistence and grit, we recommend the following books. Click on the titles for more information. The academic papers below represent a tiny fraction of the research available on persistence and grit, while we hope the studies below prove useful, if you have a specific area of persistence or grit you want to address, we recommend searching Google Scholar. Authors: A Nora, E Barlow, G Crisp. First published 2005.